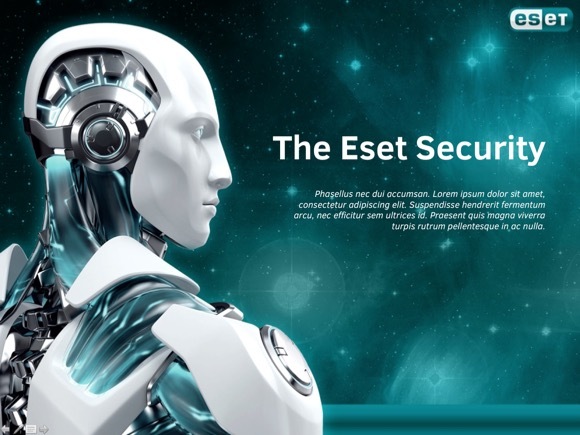 If for any reason you are searching for Eset Security PowerPoint template, then you finally found it. 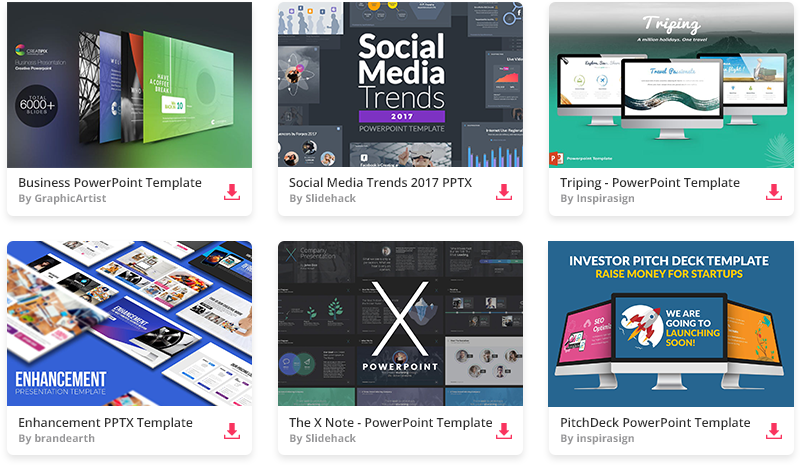 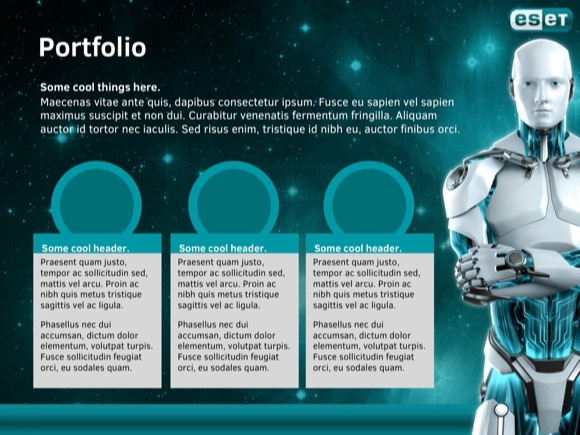 The simple design of this template can also be used for security PPT presentations, specifically related to the Internet and Applications. 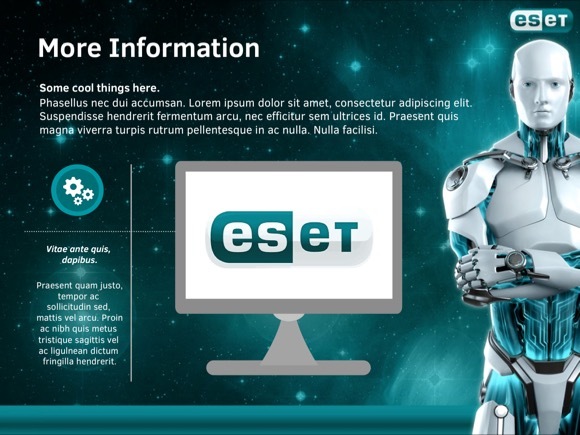 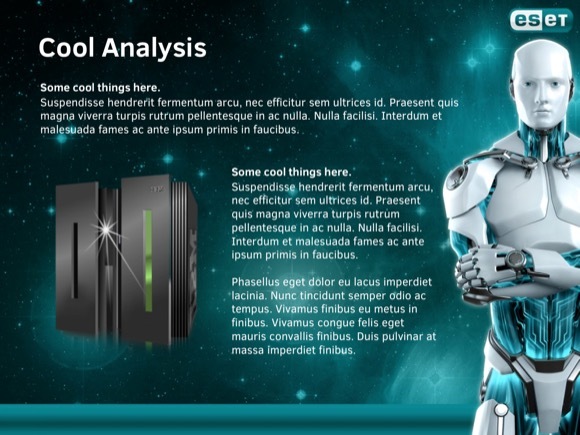 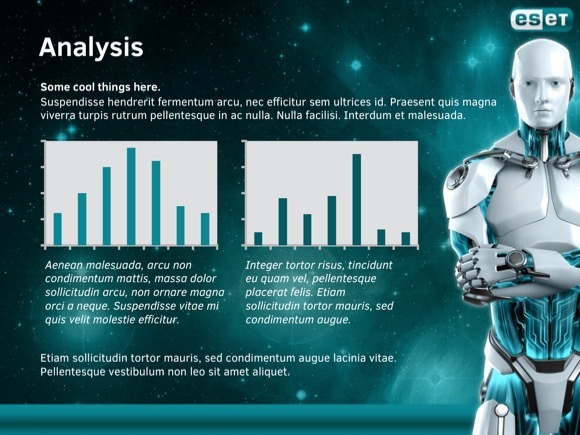 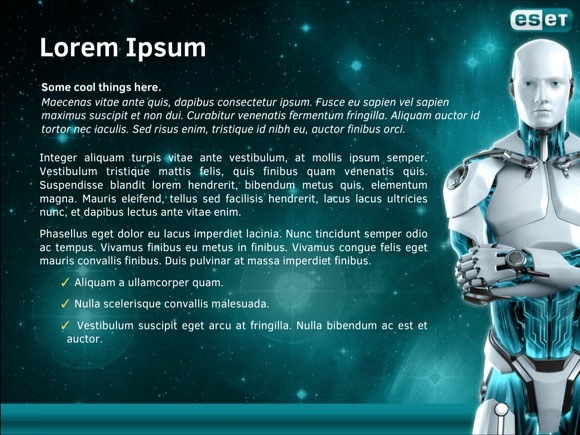 Feel free to download this amazing Eset Security Template now!